Today I did a little experiment combining several ideas into one and it was a raging success so I'm here to share it with you. About 10 months ago, I gave up processed cane and beet sugars. This, in addition to my mostly plant based diet (I do cook with oils), means I make a whole lot of my own food to stay within the parameters I've set for myself. That's just fine with me, I've never felt healthier. 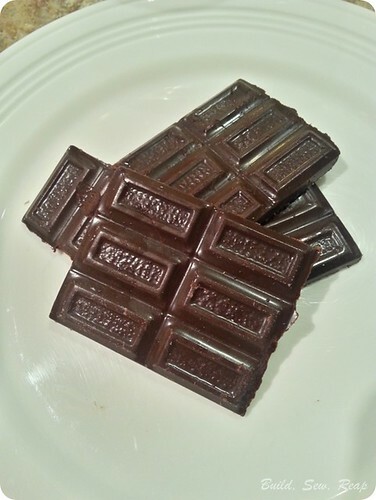 Unfortunately, I've also become a bit of a chocolate snob but as long as I have a few minutes to cook it up, I have a wonderful go-to recipe for tasty dark chocolate. Today I'm going to share with you how you can make your own amazing chocolates using just a handful of ingredients that no pantry should be without. Yes, that's a peanut butter cup. Yes, I made that myself. Yes, I did it in under 10 minutes including cleanup. Yes, you can too. Not into peanut butter cups? 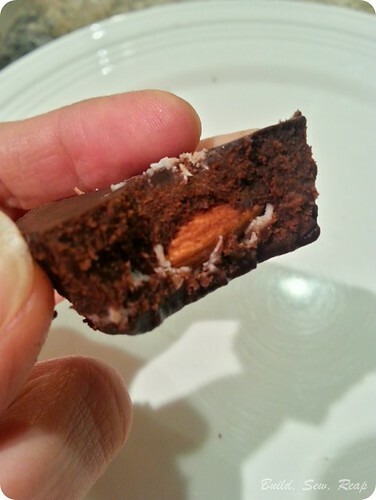 How about a homemade Almond Joy? 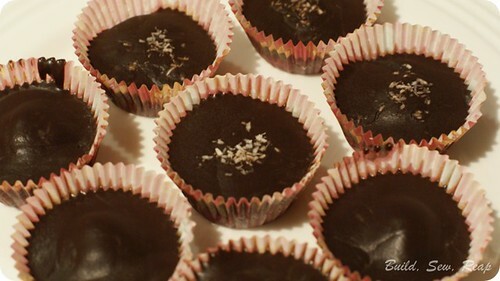 BTW, when was the last time you thanked a blogger for eating 6 decadent chocolates just so she can get a good photo? Just know, I took one for the team today. This chocolate can also be poured over ice cream and it solidifies just like Magic Shell. 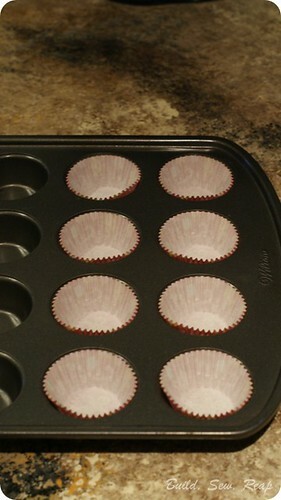 Put mini muffin papers into 8 mini muffin tin holes. If you don't have the muffin tin, you can just use two muffin papers together for each candy and put them on a freezer-safe plate or tray. 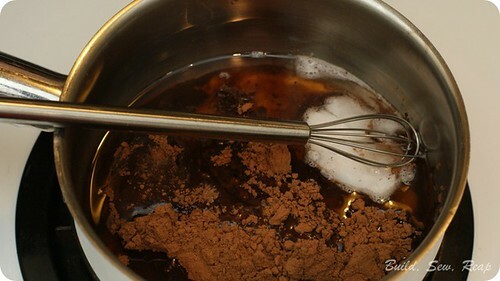 Combine ingredients for the chocolate in a small pan over medium-low heat. 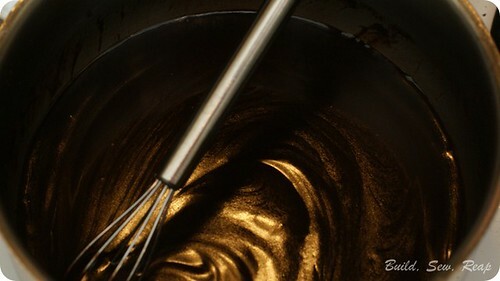 Stir constantly until all ingredients are combined and mixture looks smooth then immediately remove from the heat. Pour a little dollop into each muffin cup. I think these were each filled a little less than 1/4 of the way. Peanut Butter: Roll small balls of peanut butter in your hands. If you're using the natural stuff, this should be no problem at all. 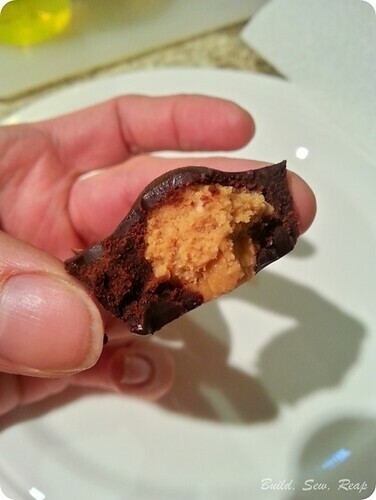 Put the PB ball in the center of the chocolate. 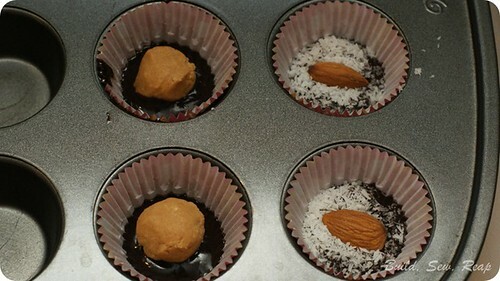 Coconut & Almond: Sprinkle some shredded unsweetened coconut across the surface of the chocolate. Gently press in one almond per candy. 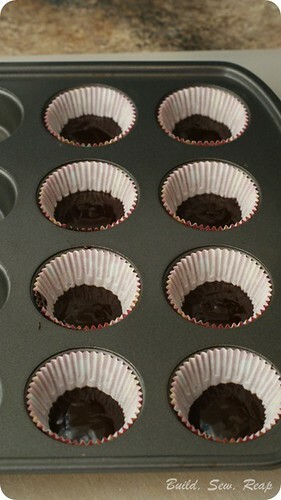 Now pour the remaining chocolate into the 8 cups. Optional: I like to sprinkle a little coconut on the ones containing coconut since I know not everyone is a fan and don't want any surprises. If I make several different varieties at once, I try to use some system to tell them apart once they're finished. Pop the tray in the freezer for about 30 minutes. When they're firm, you can eat them right away or store them in the refrigerator. Warning: If you're sensitive to caffeine, these are NOT a good late night snack unless you want to stay up all night crafting. I won't judge. Oh no....I so did not need to see this post!LOL>......love choc and peanut butter, nothing better. LOL, they're so good. You'll be hooked. I've found that when I'm in a hurry, I can just stuff all the chocolate ingredients into a glass measuring cup and microwave. I've heard that kills off some of the good stuff in coconut oil though so I try to take my time and do it the nice way. 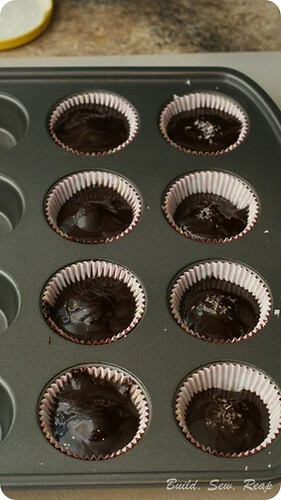 It can also singe the chocolate easier which definitely gives it a different flavor. If you watch it though, you can chocolates faster than a trip to the store to buy something sub-standard.